Recent research by the Chief Marketing Officer (CMO) Council and others have confirmed the significant brand threat posed by negative content in the digital space. However, a growing threat in the physical space directly threatens brand reputation, revenues and customer safety: the growing mass and diversity of counterfeit goods on the shelves. From electronics and toys to food and auto-parts, counterfeiters and copyright pirates are estimated to rob $1.4 trillion from branded manufacturers in a scam industry that has proven notoriously difficult, and expensive, to police. The phenomenon comprised military procurement, with a recent survey of the Canadian military has shown deep penetration by unreliable counterfeit goods. One Silicon Valley-based start-up – with key roots in Southern Africa – is leveraging crowdsourcing as a part of a highly innovative solution to affordably identify grey goods at scale, and remove them from shelves. AllVirtuous, an on-demand investigative platform, harnesses software and crowdsourced field investigators to root out bad goods, to help multinationals flag suspicious activities in their supply chain and develop strategies based on an innovative vulnerability score. Its pioneering supply chain surveillance model provides a new weapon to counter the loss of government tax revenue, company revenue and job losses while addressing a critical cost pain point for global brands. 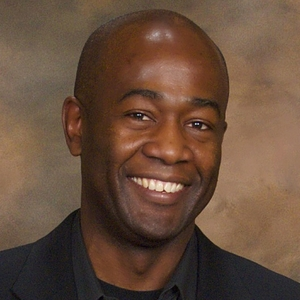 Enoch Hwande, founder and CEO of AllVirtuous, has a unique perspective on the challenge. He spent most of his career in Southern African markets deeply penetrated by grey goods, and having founded a leading ad agency in Zimbabwe, Dicomm Advertising. In addition to lost revenue and market share in some markets, Hwande says inferior or unsafe products masquerading as branded goods generate devastating brand loyalty and reputation losses among consumers. With deep knowledge of counterfeit goods in the auto parts sector, the company resolved a pilot investigation for Toyota in South Africa, which found deep threats from counterfeits and grey goods. In one example, Hwande says Alveratec had to shut down its factory in Kenya because counterfeit batteries had seized virtually 100% of the market. In a tragic example, he said about 70 people died during one wedding ceremony from drinking counterfeit whiskey. The problem is well known in the developing world, but Hwande says the threat is widely underestimated in US markets. He says a survey of 100 leading brands found all were significantly impacted by counterfeit goods, and among those acting to counter these threats, he found most do not scale the investigations. The brands who tried to scale their own investigation found it very costly. Data and grey good alerts gathered via the AllVirtuous mobile app are then compiled in an innovative “V-score” vulnerability indicator, and reports are posted to an easy-to-use dashboard. Investigations can run in multiple cities and countries simultaneously. Hwande believes crowdsourcing is the fastest way of collecting massing amounts of supply chain data, and the AllVirtuous model harnesses college students, who use mobile apps to collect real-time product data inside physical stores. Hwande says AllVirtuous built a platform where the brand can create a very simple assignment for information which is deployed through their mobile app. “We are tracking products based on images, Trademarks, barcodes, SKUs, and serial numbers,” he says. “We monitor pricing because pricing is an important variable to know how these counterfeits or grey products are impacting the genuine products. We have geolocation and we can create hit maps for the brands to show their key priorities whether by geography or by particular location." Fundamentally, Hwande’s team is merging real-time data from the physical space with the digital space. Critically, the AllVirtuous approach delivers actionable reports to lead directly to remedies. Although the company is currently in its early stage, Hwande says the opportunities are enormous. Hwande says many existing third party vendors tackle grey goods via online distribution channels. The difference is they are not taking the product off the market, so our growth potential is very significant. It depends on the market. It can range anything between 10 percent in some markets or it as much as 70 percent in others. Having emigrated to the US from South Africa with his family, the 51-year-old innovator says his experience in African markets represents an innovation edge for AllVirtuous.